He went on to pursue medicine at the University of Virginia where he received his medical degree and was awarded the Shannon Z. Award for the “most well-rounded” medical student and the Algernon Sydney Sullivan Award recognizing the person from both the undergraduate and graduate schools who exhibited “excellence of character and service to humanity.” He completed his residency training in Obstetrics and Gynecology at the University of North Caroline at Chapel Hill where he was elected Education Administrative Chief Resident. Dr. Franasiak completed his Reproductive Endocrinology and Infertility fellowship training at Reproductive Medicine Associates of New Jersey (RMANJ) in the Rutgers Robert Wood Johnson fellowship program. Dr. Franasiak is a board certified Obstetrician Gynecologist, board certified Technical Supervisor in Embryology and Andrology. He is active in the American College of Obstetrician and Gynecologists (ACOG) on the Practice Bulletin Committee for Gynecology. 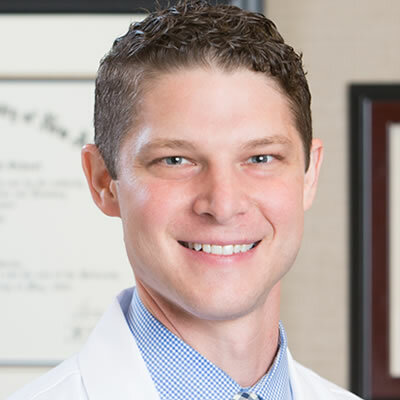 He also serves the American Society for Reproductive Medicine (ASRM) and has been on the executive board of the Society for Reproductive Endocrinology and Infertility (SREI). He volunteers as an OB/GYN Clinical Advisor for Osmosis – Integrated Medical Learning and works with Kaplan Test Prep for USMLE Step, 1, 2, and 3 reproductive medicine coursework. Dr. Franasiak has been invited to speak nationally and internationally and has authored and contributed to over 100 peer reviewed publications, published chapters and abstracts. He serves on the Editorial Board for Fertility and Sterility and the British Journal of Obstetrics and Gynecology. He also serves as Ad Hoc Reviewer for the Journal of Assisted Reproduction Genetics, Human Genetics, Reproductive BioMedicine Online, Human Reproduction, and Reproductive Biology and Endocrinology and as the editor for a textbook on recurrent implantation failure. His research interests include ART laboratory science QA/QC, embryonic competence and aneuploidy, the microbiome, and nutritional status’ effect on ART success. Celiac disease is not more prevalent in patients undergoing in vitro fertilization and does not affect reproductive outcomes with or without treatment: a large prospective cohort study. Social media in the REI clinic: what do patients want? J Assist Reprod Genet , 35(7):1259-1263, 2018. A new predictive parameter for embryo transfer success, but a path forward is needed to implement it in technique training path forward needed to implement in technique training. Fertil Steril. In Press. 2017. DHEA supplementation can result in assay changes which may impact clinical decisions in IVF. J Assist Reprod Genet. 2017 Apr 29. doi: 10.1007/s10815-017-0927-1. [Epub ahead of print] No abstract available. Vitamin D binding protein is lower in infertile patients compared to fertile controls: a case control study. Follicular flushing: time to look elsewhere to improve IVF outcomes? Long-awaited long-term follow-up of reproductive parameters in female offspring conceived with the use of intracytoplasmic sperm injection. Fertil Steril. 2017 Apr;107(4):908-909. doi: 10.1016/j.fertnstert.2017.02.111. Epub 2017 Mar 11. No abstract available. Erratum to: Dehydroepiandrosterone (DHEA) supplementation results in supraphysiologic DHEA-S serum levels and progesterone assay interference that may impact clinical management in IVF. Vitamin D in human reproduction. Efforts to redefine endometriosis prevalence in low risk patients. Novel approach to recurrent implantation failure: short-term copper IUD placement. Fertil Steril. 2017 Jun 8. pii: S0015-0282(17)30418-1. doi: 10.1016/j.fertnstert.2017.05.035. [Epub ahead of print] No abstract available. Does supplementation with progestogens in the first trimester of pregnancy prevent miscarriage in women with unexplained recurrent miscarriage? Efforts to redefine endometriosis in low-risk patients. Vitamin D in human reproduction-an evolving landscape. Expanded carrier screening in an infertile population: how often is clinical decision making affected? Genet Med Off J Am Coll Med Genet 2016. Genotypically determined ancestry across an infertile population: ovarian reserve and response parameters are not influenced by continental origin. Free vitamin D does not vary through the follicular phase of the menstrual cycle. Promoting the use of elective single embryo transfer in clinical practice. Fertility Research and Practice. Aug 2016. Why abandoning sustained implantation rate may be throwing the baby out with the bathwater. CYP1A1 3801T>C Polymorphism implicated in altered xenobiotic metabolism is not Associated with Variations in Total Motile Sperm or Fertilization Rates with ICSI. Curbside consults in the era of social media connectivity and the creation of the SREI Forum. Dehydroepiandrosterone (DHEA) supplementation results in supraphysiologic DHEA-S serum levels and progesterone assay interference that may impact clinical management in IVF. J Assist Reprod Genet, 33:387-91, 2016. Multiple thrombophilic single nucleotide polymorphisms lack a significant effect on outcomes in fresh IVF cycles: an analysis of 1717 patients. J Assist Reprod Genet, 33:67-73, 2016. Endometrial Microbiome at the Time of Embryo Transfer: Next Generation Sequencing of the 16s Ribosomal Subunit. J Assist Reprod Genet 33:129-36, 2015. Ergonomic Strain in Minimally Invasive Surgery: Addressing the Strain Epidemic. J Clin Outcomes Management, Vol 22 (6), 2015. Elevated Progesterone levels in women on DHEA supplementation likely represents assay interference. J Assist Reprod Genet, 32:661, 2015. Introduction: Microbiome in human reproduction. Elevated progesterone levels in women on DHEA supplementation likely represent assay interference. Pregnancy success after hysteroscopic sterilization reversal. Obstetrics and Gynecology 124(6):1183-9, 2014. recognized for editorial assistance. Feasibility, acceptance, and efectiveness of an ergonomics training program. J Soc Laparoendosc Surg 18: e2014.00166, 2014. Prospective assessment of mid-secretory endometrial LIF in women with unexplained infertility and suspected endometriosis. Metformin is associated with improved survival in endometrial cancer. Does Lower Uterine Segment Involvement in Grade 3 Endometrial Cancer Impact Recurrence Patterns and Patient Outcomes? J Clin Gynecol Obstet 3:85-92, 2014. The complex triad of obesity, race and diabetes in Type I and Type II endometrial cancers: examining their distribution and associations with outcomes. Ergonomic deficits in robotic gynecologic oncology surgery: A need for intervention. J Minimal Inv Gynecol 20:648-55, 2013. †Authors contributed equally. Fever without a source in the pregnant patient: A case report and review of the literature. Longitudinal anti-müllerian hormone in women with polycystic ovary syndrome: An acupuncture randomized clinical trial, evidence-based complementary and alternative medicine. Gynecol Oncol, 126:437, 42, 2012. Elevated levels of intestinal inflammation in Clostridium difficile infection associated with fluoroquinolone-resistant C.
Journal of Hospital Infection 73(2):185-7, 2009. Amer J Trop Med Hyg, 78:577-85, 2008.